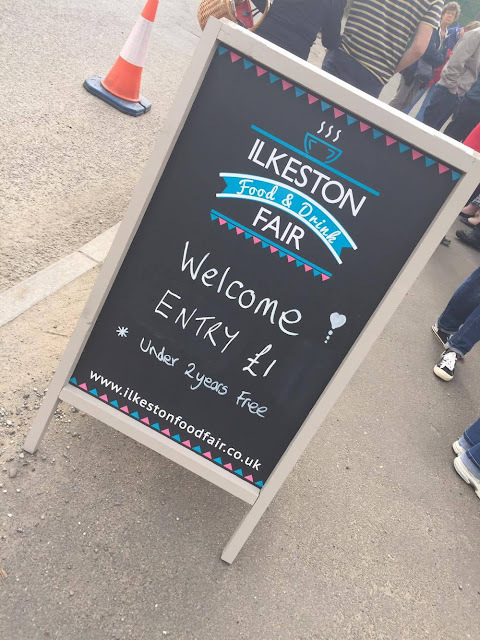 Ilkeston Food & Drink Fair - May 2016. Sorry I haven't posted recently. I haven't really been in the mood so thought it was better to stay away from blogging for a few days to avoid forcing anything out and returning when I'm ready. Today is that day! 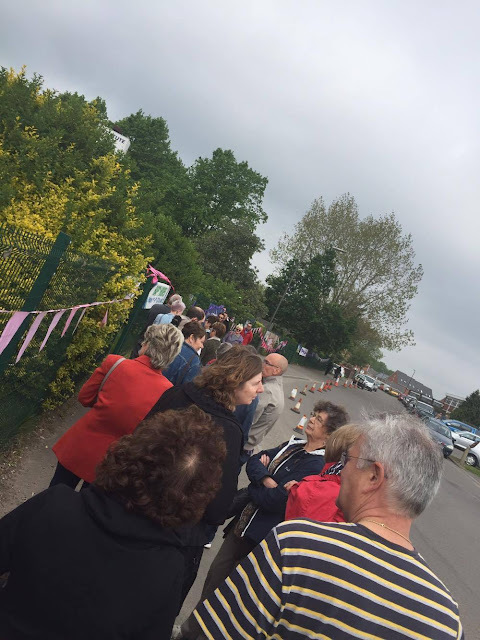 Last weekend (29th May), myself and Ashlea headed into Ilkeston to attend their bi-annual food fair. If you can remember, I attended in October 2015 and had a great time, so really wanted to go back and try out some new goodies. The doors were set to open at 10am so we got there for then really due to Ashlea being at work that afternoon. It was great to already see so many people there queueing to get in! 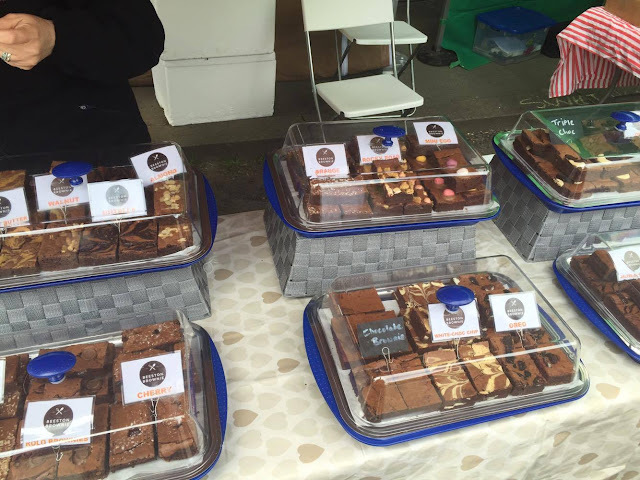 Our first stop was The Beeston Brownie Company who you may have seen recently featured on my blog. When I knew they were going to be at the fair, I wasn't leaving without some more after being so impressed with their Brownies. Between us, we ended up with 4 flavours including my favourite, White Chocolate - so good! 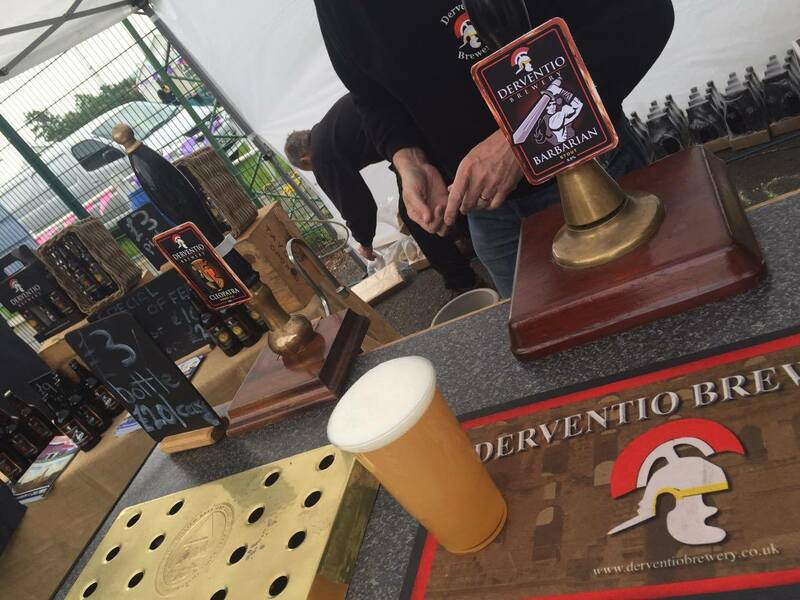 It wasn't long before Ashlea spotted the Derventio Brewery tent. He's been a fan of them since last year and couldn't resist a pint of their Cleopatra. Yes, at 10am! Next door to Derventio were Steep Hill Wines from Lincoln. They were selling this interesting looking citrus Spicy Monk Cider. Ashlea ended up buying one and is yet to try, but from the sample he drank, it's all good! I couldn't visit without getting a little something for Bob the Beagle. 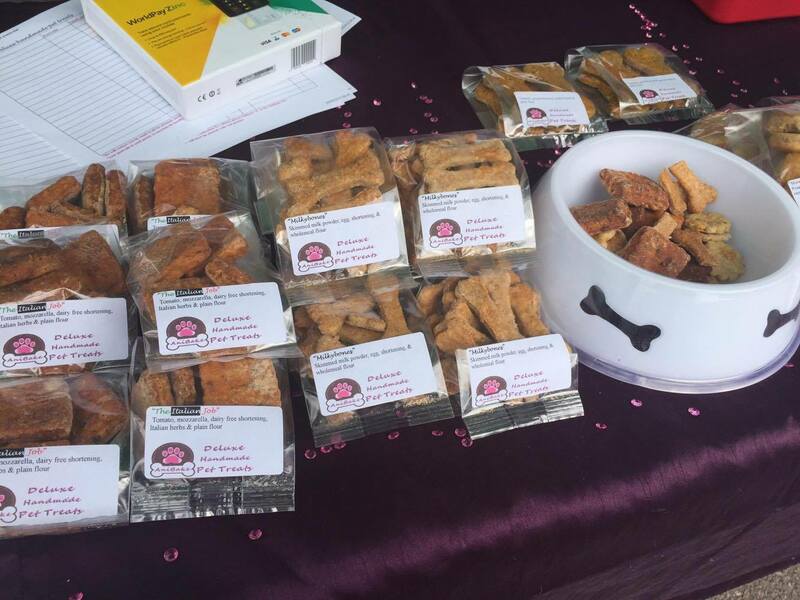 Anibake were on hand to provide some scrummy handmade treats for the pooches. 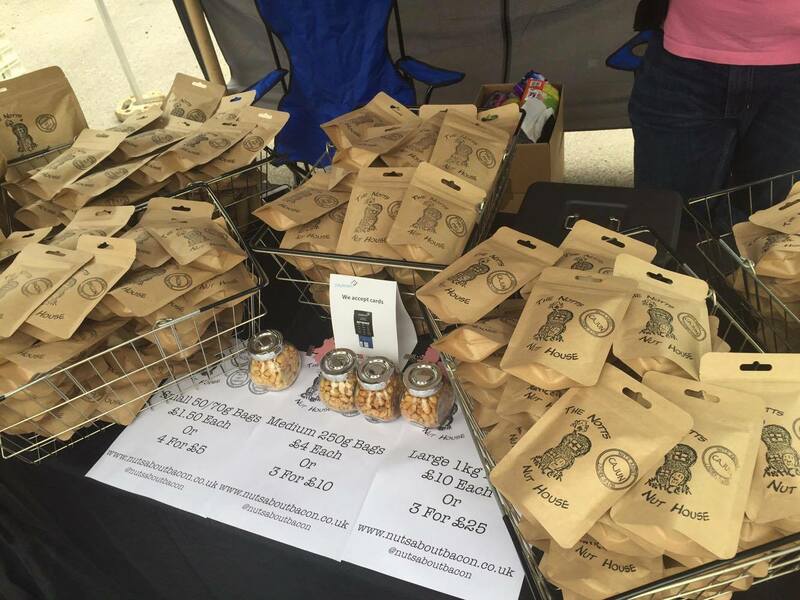 I've not heard of Anibake before but after chatting to owner Lucy, I discovered she's new to the food festival world. I'm sure I'll be seeing them popping up again as the treats were great. Lots of choice and Lucy was very knowledgeable about all of the contents of her creations. The Notts Nut House were also pitched up at the fair with their amazing flavours of peanuts. 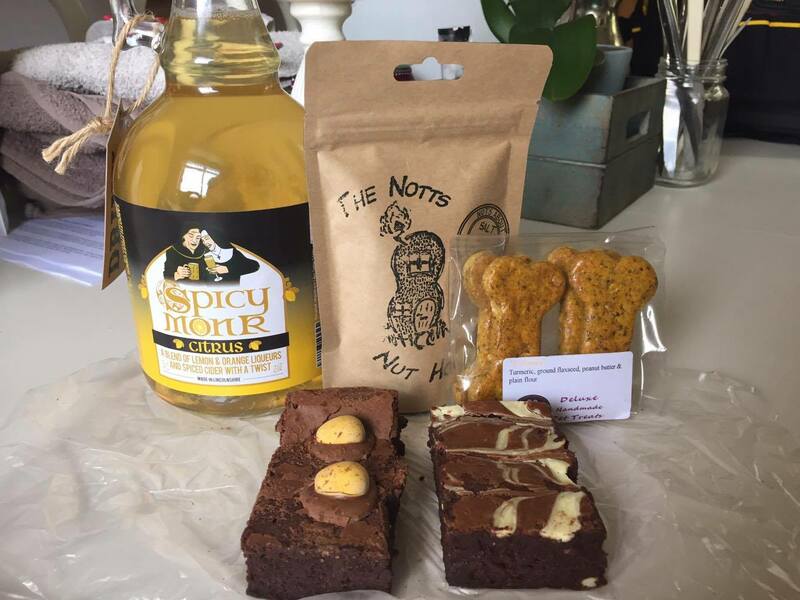 Another local business that you may remember as being featured on here. It was great to finally meet Allan after chatting over Twitter for so long! I took away a small bag of the Salt & Vinegar which was my favourite flavour from before and Ashlea took a large bag of the Bacon. We didn't stay too long. As I mentioned, we had to be back for Ashlea to go to work but we still had chance to get around all of the stalls (apart from Halo Donuts who I somehow managed to miss). 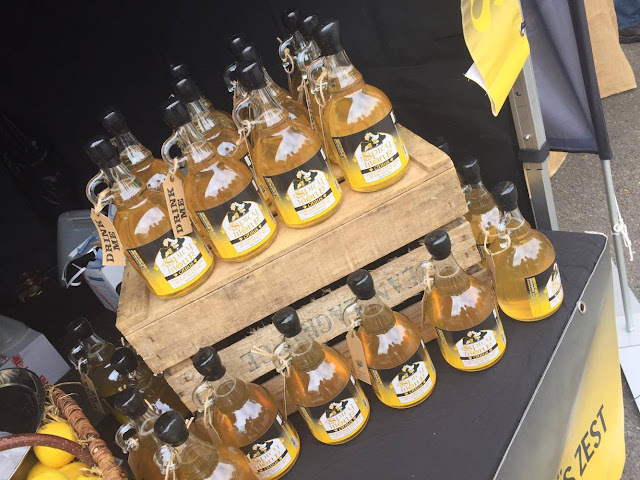 Another great morning at Ilkeston Food and Drink Fair - see you again in October!